Hawaiian Island Coffee. All the different varieties. Hawaiian Island Coffee is your only choice if you want coffee that is grown and cultivated in the United States. This is because Hawaii is the only place in the US where coffee is produced. And what an amazing choice it is! This Coffee is very distinctive and unique, not only because it is the only American grown coffee, but because it has an unmatched flavor and is of very high quality. The weather conditions on the various Hawaiian Islands are perfect for coffee cultivation, in that there is the required humidity, the temperatures are low, the islands are at the optimum altitude, and in various parts there are volcanic mountains which provide soil that is very rich and great for coffee production. All these factors come together to give us excellent coffee that is truly a connoisseur’s delight. The taste of Island Coffee is unlike other coffees grown throughout the world. Whereas coffee from various regions around the globe is savored because of its strong taste, intense smell, and full bodied flavor; Hawaiian Island Coffee is practically the very opposite. Because of the climactic conditions and the soil that is unique to Hawaii, the coffees grown in the islands are very distinctive, albeit quite mild and simple. Thus, if you like coffee that has a very strong bitter taste (I personally find them awful! ), then you may want to avoid this particular coffee. However, if you like clean coffee, with a great mild flavor, and an excellent aftertaste, then coffees from Hawaii are the ideal option. 1. 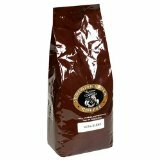 Molokai Coffee : This coffee is grown on the Molokai islands in Hawaii, thus the name. Although it has all of the characteristics of a Hawaiian coffee, this coffee has a unique smoky taste that leaves a pleasant lingering aftertaste. The Molokai coffee plantation is one of the few places in the world that employs two different methods of processing the coffee cherry, namely the sun dried process and the wet process. This is why this Hawaiian Island Coffee is so popular universally. 2. Kauai Coffee: This coffee comes from the Kauai coffee reserve, which is the largest coffee plant in all of Hawaii. As such, the production of this coffee is not in limited quantities, which is why this coffee is not as expensive as the others. However, as far as quality and taste are concerned, the Kauai coffee is as good as any other Hawaiian Island Coffee. Different varieties of Kauai coffee are available, classified according to the trees that they are sourced from. Thus you have the sweet tasting Yellow Catuai, the Typical Arabica which is a classic coffee bean, and the immensely popular Caturra coffee. 3. Maui Coffee: This coffee is among the newest coffees to be produced in the Hawaiian Islands. Although it is a very low key coffee and is not very full bodied, it still makes for a very refreshing cup. Maui coffees are available with flavors of smoky tobacco, dried fruit, chocolate, and cocoa. 4. Kona Coffee: Of all the different kinds of Hawaiian Island Coffee, the coffee obtained from the Kona region of the Big Island of Hawaii is the very best. This coffee is renowned all over the globe and is truly a gourmet coffee. It is an expensive coffee, but well worth every dollar that you pay for it. Kona coffee cherries that yield only one bean instead of two make for the finest kona peaberry coffee. If the best Hawaiian Island Coffee is what you are after, you need not look further than kona coffee. Thus, for coffee lovers everywhere, the characteristic flavor and irresistible aroma of Hawaiian Island Coffee can be a very enjoyable experience indeed.